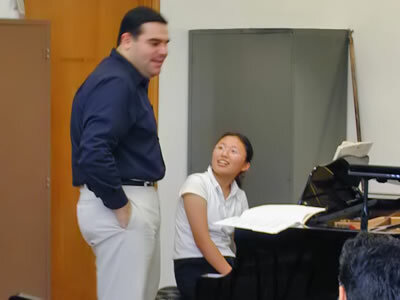 A large part of our mission is to ensure that young people are being trained to play — and enjoy — new music by new composers. 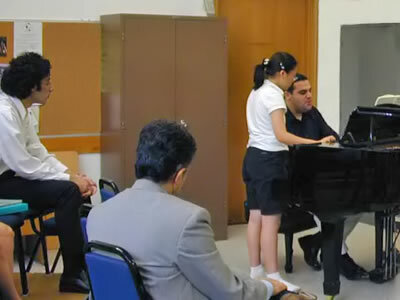 The Nimbus Ensemble offers opportunities for young music students to experience music’s inner workings by holding select open rehearsals, masterclasses, and outreach to area schools. Interested students or educators should contact the ensemble for information on up-coming events. 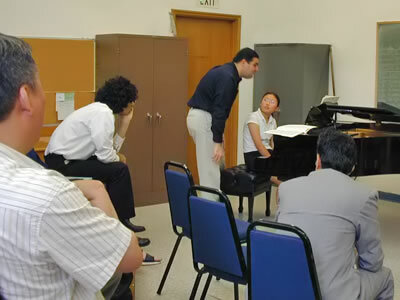 Below are images from piano soloist Sarkis Baltaian giving a master class prior to our concert in May, 2004. "...the Nimbus Ensemble is nimble, new and necessary. 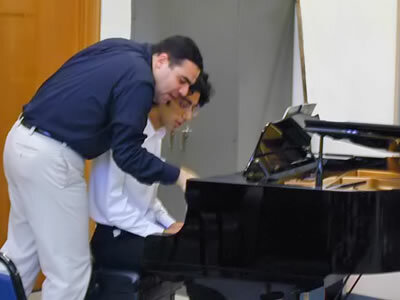 It has ideas, a good place to play... a capable music director." "The Nimbus Ensemble is starting to make a notable contribution to musical life here..."
In keeping with its commitment to advancements in contemporary compositional practice, maestro Young Riddle and the Nimbus Ensemble is pleased to partner with California State University at Northridge in giving emerging composers the opportunity to hear their works rehearsed, performed and recorded by a professional ensemble in April 2012. We hope to continue this partnership and schedule more student events. The Nimbus Ensemble recently recorded Liviu Marinescu's new work Harmonic Fields on a special grant for subsequent release. YOUTUBE: Hear some of the new Harmonic Fields by Liviu Marinescu. © 2019 Nimbus Ensemble. All Rights Reserved.